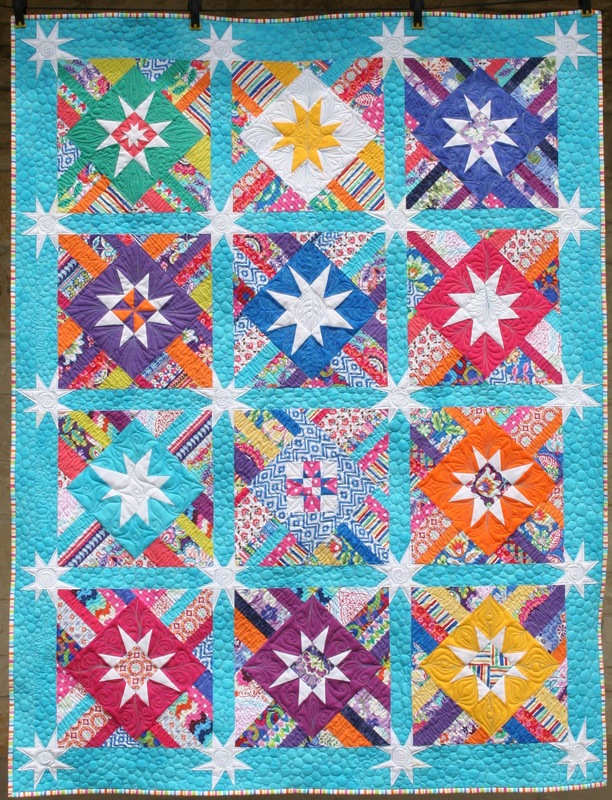 Coming soon…A tutorial on making this bold, fun quilt…Wonky Stars and Stripes. I made this for my cousins daughter’s high school graduation. I love all the bold colors. I’m into stars lately.